For the second year in a row the winter here in Southern Ontario has been less then spectacular (with regards to snowfall). Sure we’ve had plenty of frigid days but aside from one major storm mid-February, our frozen precipitation was way below normal for the second year in a row. 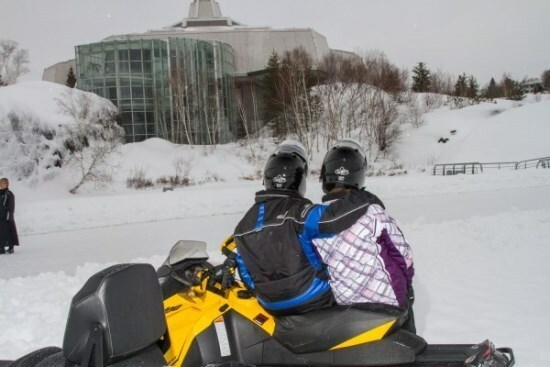 Thankfully Toronto is not known as a snowmobile hot spot, however the Greater Sudbury region is. This would be the destination of our latest adventure; The OFSC Family of the Year Ride. We had a crew of ten riders assembled consisting of industry journalists, local guides that knew all the trails inside and out, and Bud and Doreen. Bud and Doreen were two lucky winners from The OFSC volunteer Family of the Year contest. Our guide’s were determined to show us as much of this epic trails system as we could squeeze into two days. (It turns out we would log over 400 km which is a ton to ride on a photoshoot) The photographer in me was concerned with such distances to cover we wouldn’t have much time to get the shots I needed. On flip side, the rider in me was secretly ecstatic I would finally get to do some solid riding. 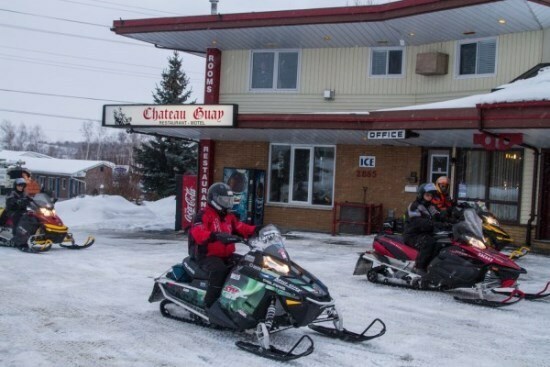 The crew rendezvoused at Chateau Guay Motel, conveniently located right off of highway 17 for easy access by either vehicle or sled. 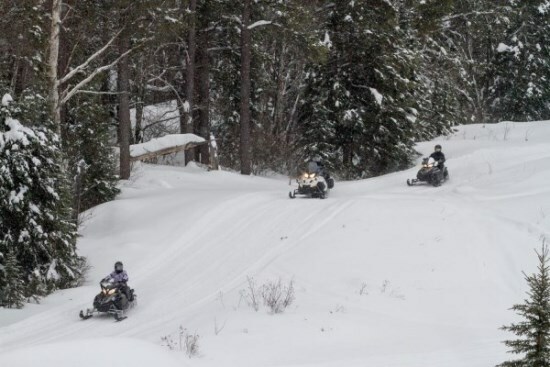 This location is an ideal stop for snowmobilers looking for a good nights rest with plenty of room in the parking lot for the truck and trailer. 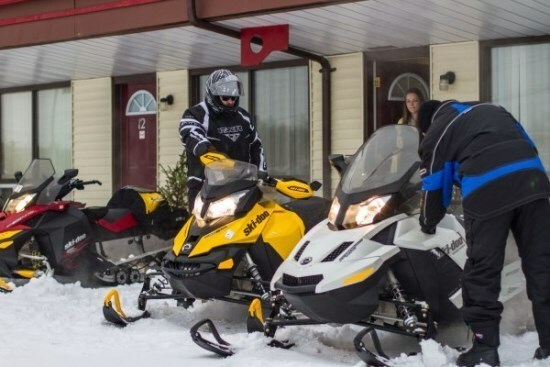 You can also ride your sled straight from the trails to the front door of your room as we did each day. After a healthy sized breakfast at Chateau Guay, we set off bright and early on the Chiniguchi Loop. 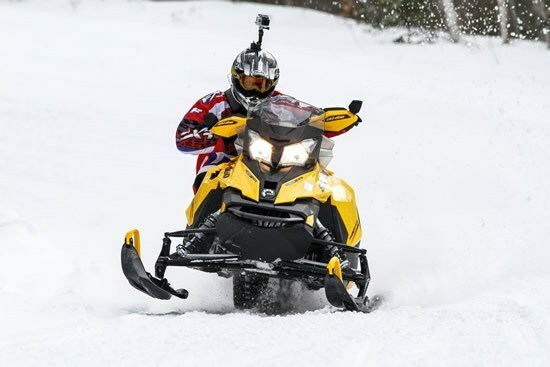 The weather was absolutely perfect for riding, with daytime temps reaching a high of -5 degrees Celsius and a light layer of fresh snow covering the trees making for picture perfect scenery. What made the Chiniguchi trail so interesting was the variety. It just about every type of terrain you would like to encounter on a day ride; wide sweeping corners, tight switchbacks and constant elevation changes can all be found on this rider friendly loop. After burning through close to a tank of fuel in the morning we decided to hit Rocky’s Restaurant for lunch, located right on the shores of Lake Wahnipitae. 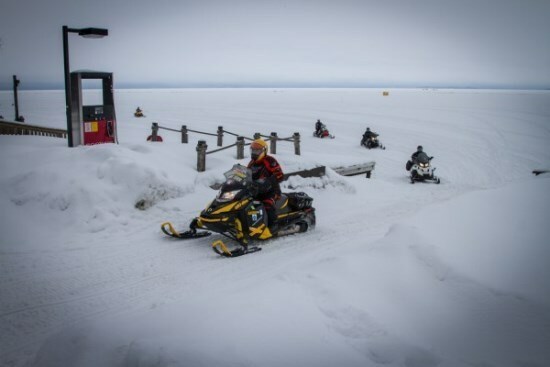 To get there we had to cross the entire lake first, and after a morning of trail riding it was nice to get out in the open and blast across the ice for a few minutes (having a lightning fast Arctic Cat 1100 turbo for this didn’t hurt either). Thankfully The Sudbury Trail Plan Association had a lane staked off for sleds in either direction giving you some much needed piece of mind when travelling at those speeds across frozen water. Riding hard all morning can work up a healthy appetite and Rocky’s menu didn’t disappoint on taste or portion size. Seeing as I had the hunger of a small army, I opted for the cheeseburger with fries and gravy. It took all my self-control to just order one serving of deep fried pickles for an appetizer. After fueling up our bodies and machines we spent the afternoon cruising back stopping along the way when good photo opportunities presented themselves. 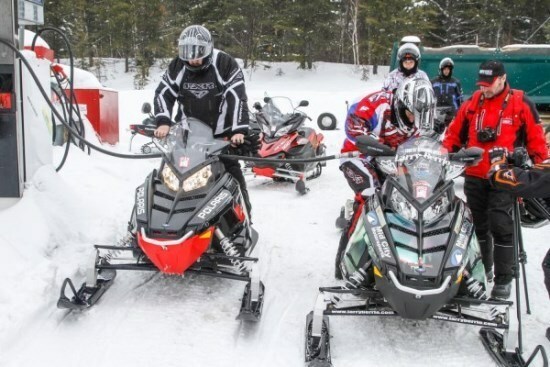 When we arrived back to Chateau Guay we had just enough time to park the sleds and head over to M.I.C Restaurant ‘Made In Canada’, located in the city center of Sudbury. 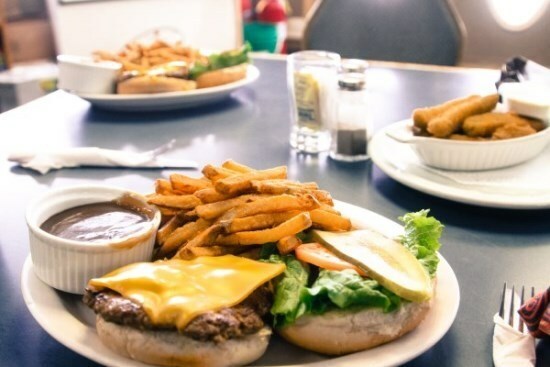 This locally famous eatery not only had great food and ambiance, but also features celebrity inspired memorabilia from some of our countries most famous entertainers and athletes. With many kilometers left to tackle on day two, our guides opted to trailer the crew out to the town of Hanmer, passing on some of the less exciting connector trails. We found ample parking at a local Timmies, which gave us direct access to The Cartier Moose Loop. As we would soon find out this was definitely the more demanding of the two trail systems. Much like on day one, we had a multitude of different conditions including sweeping corners, tight turns and elevation changes. We also passed a section with massive boulders trailside. We stopped for photos and it boggled my mind on how rocks of the size ended up in the middle of a heavily wooded forest. For dinner that evening we had a special treat in-store; ‘Curious Thymes’ is a gourmet restaurant located on the top floor of the famous educational landmark, Science North (more on Science North below). I opted for the vegetarian lasagna and a delicious cream of pumpkin soup. With a full belly and depleted energy supplies, my hotel bed was a welcome sight. The next day the good people of Science North arranged for a private tour before setting off for home. I personally had no idea a facility if this magnitude existed outside of the downtown core. I was totally blown away by this massive science and education center. The four hours we spent flew by with so many activities to indulge in. They even had a section with live animals and insects featuring some of the most feared creepy crawlers on the planet. Scorpions, snakes, tarantulas and giant cockroaches all live at Science North. They had a fitness section with timed challenges and like the competitive men that we are; we all had to try and get the best time. As we competed, I looked around at the youthful excitement on everyone’s face and in that moment, we were kids again. 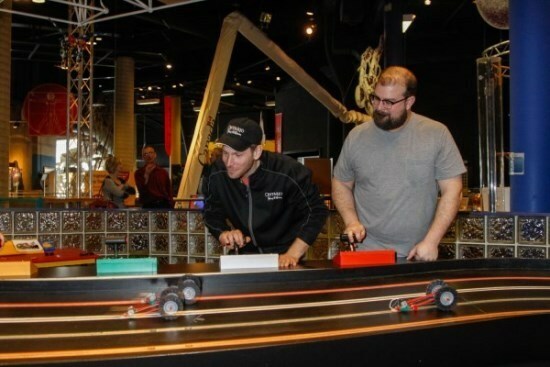 To be honest I could have spent this entire story just on Science North. I highly recommend checking out the facility if you are anywhere near the area, it’s worth the trip. 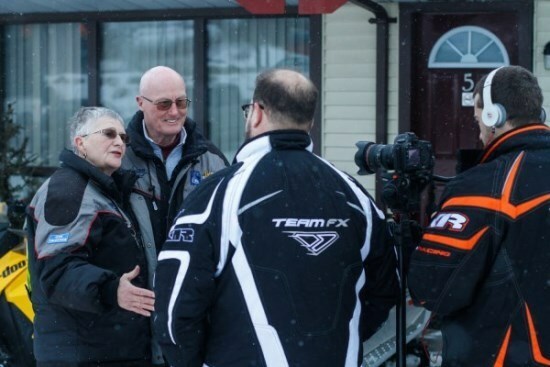 Another bonus is that the property is fully accessible by snowmobile. 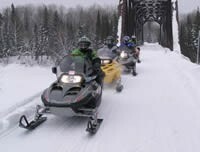 People are funny creatures; We often equate having to travel long distances for a pleasurable riding experience, but the fact is some of the best snowmobiling in the country exists just a few hours north of the GTA. 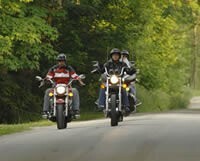 The Greater Sudbury Area is proof that premium riding conditions do exist close to home. Despite a fast approaching spring season, snow conditions are still excellent and it's not too late to come out and experience this unique winter playground. 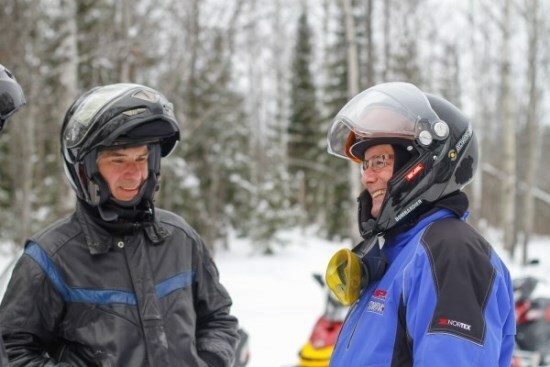 For more info on snowmobiling in Ontario check out www.gorideontario.ca. You can also find out more about the trails we rode by visiting OFSC District 12's website.